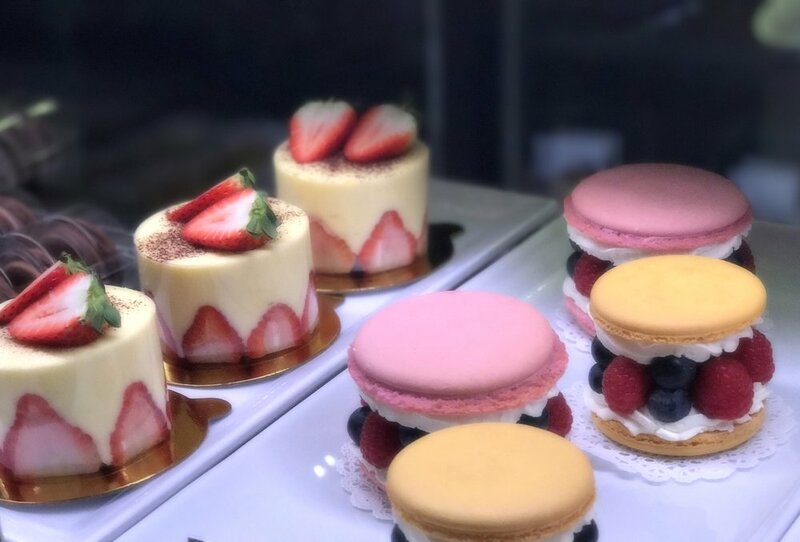 Inspired by her daughter’s love for Crepes, French Macarons, and desserts; the founder of Gabi's Petite Cafe decided to name the bakery cafe after her daughter Gabi. 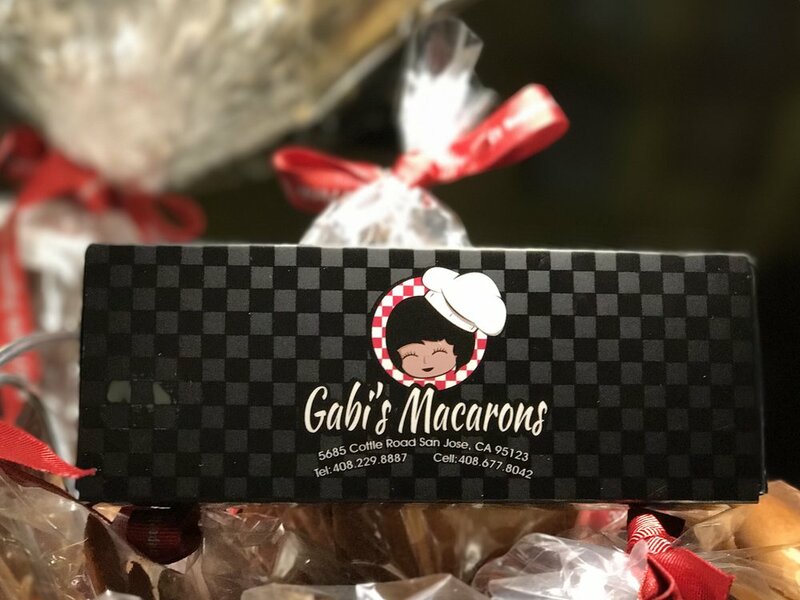 The love for baking, cooking, and making macarons for Gabi became an obsession and catalyst for her culinary journey. Learning from French Pastry Chefs in France and also locally at the Cordon Blue, she became inspired to open a little neighborhood bakery cafe. Her travels and the love of good food have continued to influence Gabi's Petite Cafe's menu foundation to this day. 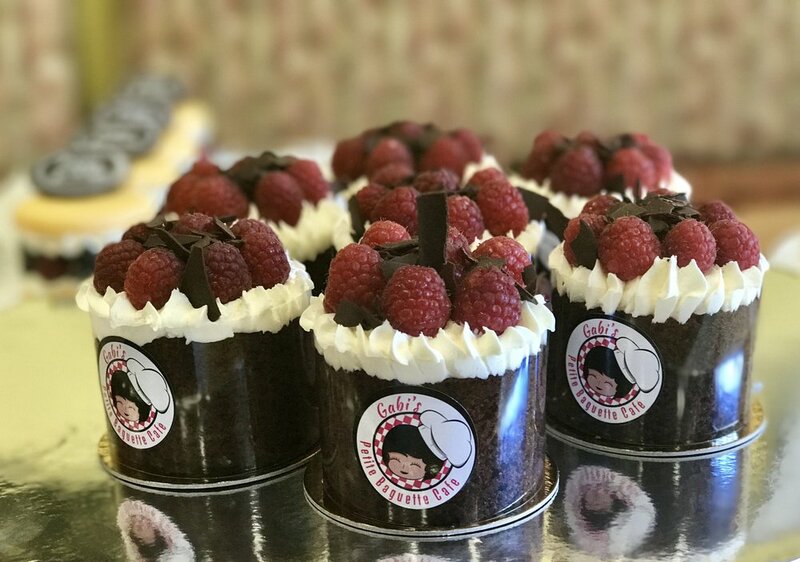 Founded in 2014, Gabi's Petite Cafe's philosophy of "Live to eat gourmet!" has inspired our enjoyment of serving gourmet food in a relaxed setting. 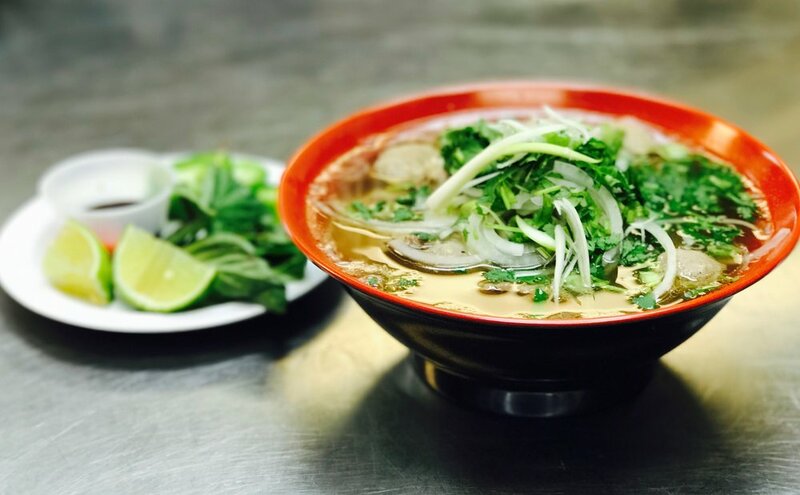 Our menu offers an inviting and affordable culinary destination. We have created a warm and welcoming atmosphere for customers to come and enjoy our delightful menu. Petite Baguettes Baked Fresh Daily - Petite Baguette, refers to the signature "demi" or "Petite" baguette fresh from the oven. As in France, Gabi's Petite Cafe customers can enjoy their morning croissants while not forgetting their baguettes for lunch and dinner. From the molten gruyere cheese crunch of a hand-held breakfast croissant, to the gourmet variety of Banh Mi Baguette Sandwiches for lunch, nothing matches the simple pleasures of well-made sandwiches. Your tummy will easily reach its happy place with a satisfied smile. Enjoy our hot delicious crêpes made to order with all fresh ingredients. Sweet or savory, we craft these crêpes with the finest ingredients and flavors. Our lunch, dessert and weekend breakfast brunch menus are accented by a variety of creative crêpes. 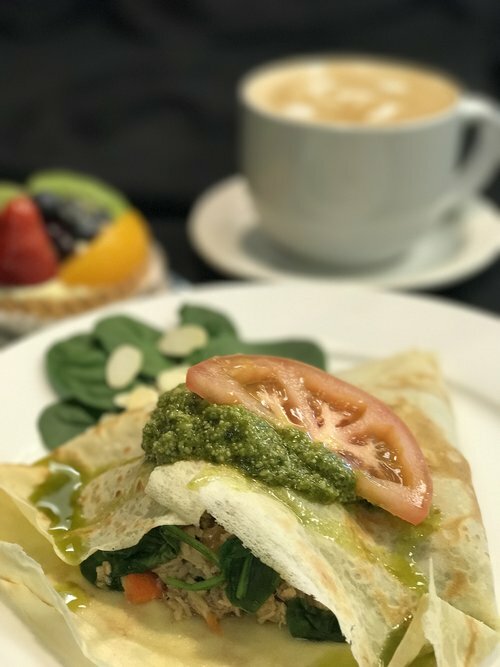 Gabi's Petite Cafe offers a unique flare featuring sweet, savory, and vegetarian crêpes along with a great selection of teas and coffee drinks. Choose from our variety of tempting crêpes creations to best fit your cravings. We have a wide variety of cakes and flavors to choose from including wedding and custom cakes. For special orders, we ask that you schedule your consultation once you have solidified your special day in order to ensure that we can reserve time for your cake. You can meet with our chef and designer to get an idea of what you want your cake to look like. Please contact us at contact@gabispetitecafe.com to schedule an appointment. With Gabi's Petite Cafe, you can plan and host the most phenomenal event. We specialize in making your reception or corporate banquets special. Enjoy fresh gourmet food from our menu with a variety of flavor selections for your most memorable event. We cater traditional dishes with a twist as well as other culinary delights. We'll help make your event sensational! Gabi's Petite Cafe makes planning a company event a lot simpler. We cater to most functions with signature dishes, savory specials, delicious sandwiches, fresh salads, and a wide variety of desserts. On site Crepe Chefs are also available for special events! We offer great food, appealing presentation and reliable service for your meetings, seminars, and training sessions. 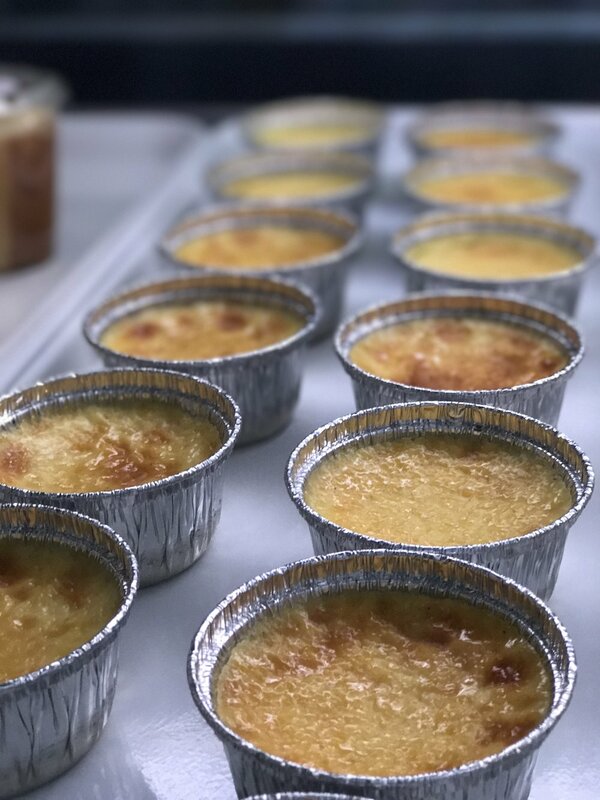 For inquiry, please fill out the form below, call, or email to order from our Corporate Catering Menu today! We want your wedding and reception to be special and stand out. Our pastry chefs will create a wedding cake and hors d'oeuvre that will delight your guests and suit your budget. Let us make your wedding day that much more memorable. Grub Hub and Door Dash Services are available for your convenience. To inquire us about our menu, cakes or other desserts, feel free to leave a comment below. Or visit us at 5685 Cottle Road located in Orchard Supply Plaza (In between Pizza Hut and Meriwest Bank)!